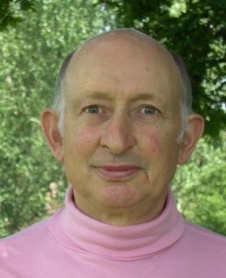 Hello I am a practising Advanced Metratronic healer and therapist working in Ockley and West Ewell, Surrey. My route to becoming a Metatronic healer and therapist started in l989 whilst still a farmer. In that year the farm was having severe financial problems, my serious relationship having failed and with my health deteriorating my life felt at a very low ebb. I decided that something had to be done so I enrolled on a powerful self-development course. As a result of this I had a spiritual experience and awakening where the pain in my knees disappeared in one night and I quickly regained a much more positive attitude. I was so impressed that I embarked on a path of continuous personal development, self-improvement and self-realisation that has continued until the present day. In 2000 the farm finally went out of buisness as a commercial farm. I easily found a part-time job as corporate host with a car rental company at Gatwick which gave me a wonderful opportunity to put my stress management skills into practice. In 2007 I developed a skin cancer which was successfullly treated and then in 2008 a very serious bladder cancer which was totally healed using surgery and my own and other therapies. These cancers gave me a valuable insight into unresolved issues that I feel caused them and other illnesses. I also trained in a variety of disciplines and healings including hypnotherapy, reiki healing, deep emotional healing, past life regression, enhanced intuition, shamanic journeying and most notably Metatronic Healing which I started in 2008 . In 2013, feeling that my life was still not complete because I had no partner/wife, I undertook some Soul Splinter Retrieval Therapy with a Shamanic practitioner. As a result of this I met my wife Clare in 2014 and married her in May 2015. Clare is an Angel Card Reader and has a grown up son and daugther from a previous marriage and we still live on the farm that the family once owned. Guy is registered as a Metatronic Healer by the Metatronic Healing Association the governing body of Metatronic Healing in this country and is a member of this association.